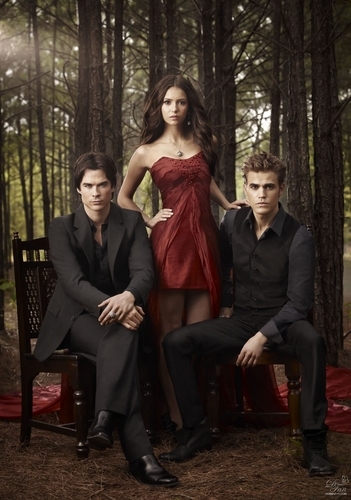 New promo picture season 2 in UHQ. . HD Wallpaper and background images in the The Vampire Diaries club tagged: the vampire diaries vampire diaries season 2 cast the nina ian. This The Vampire Diaries photo contains business suit. There might also be park bench, mahusay bihis tao, suit, pantalon suit, and pantsuit.